Putnam, CT – Sonoco Protective Solutions is North America’s leading provider of protective packaging, components, and material handling solutions. When Plant Manager Reid Chamberlin set out on a five-year plan to upgrade Sonoco’s 50-year-old Putnam facility, energy efficiency played a key role. Sonoco worked with Eversource and Loureiro Engineering Associates Inc. to conduct an energy usage assessment of its equipment and systems. The assessment identified nearly 20 projects which addressed the facility’s infrastructure and production hardware in order to reduce Sonoco’s overall energy use. Sonoco installed new boiler economizers, which reduce energy consumption by recycling waste heat, high efficiency LED lighting to brighten the facility’s interior, steam system upgrades and insulation to piping, and new variable frequency drives to manage the speed and energy usage of its motorized pumps. 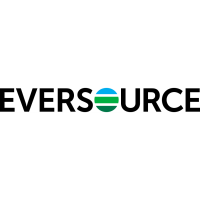 Eversource secured Energize Connecticut incentives for Sonoco to offset the cost of upgrades. The Putnam manufacturer is now saving more than $76,000 in annual energy costs, is operating more efficiently than ever, and is two to three years ahead of its improvement plan, according to Mr. Chamberlin. Sonoco now operates most of its processes, which require steam heat, on a single boiler. With this renewed, reliable steam heat, its waste scrap levels have dropped by 90 percent, which will contribute to the reduction of significant greenhouse gas emissions. The overall electricity and natural gas savings delivered by the upgraded equipment over its lifetime is equivalent to more than 8,200 tons of CO2 emissions avoided, or nearly 1,900 cars taken off the road for a year.